FraserStreetCondos.com is a webpage dedicated to being a resource for Buyers and Sellers of Fraser Street Condos and the residents of Vancouvers Fraser Street area. 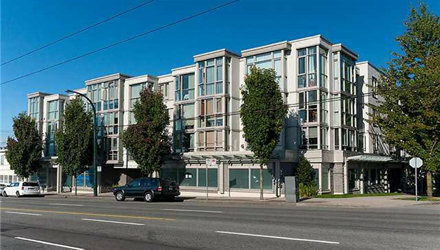 Here you find Fraser Street Condos listed on MLS complete with photos and listing description, an active community blog, a growing list of Fraser Street building and resources for both Buyers and Sellers. Whether you are a first time condo buyer, an experienced investor, looking to sell your Fraser Street Condo or simply have a question about the ever-changing market place; FraserStreetCondos.com and CENTURY 21 In Town Realty have the tools to help you every step of the way. When buying a condo, whether on Fraser Street or anywhere else, it is important to have someone representing you and looking out for your best interests. From arranging showings to touring the condo to making an offer to negotiating the deal to the day you get the keys to your new home we will be with you every step of the way. The best part is there is no charge for this service! To get started contact our Buyer's Agent Adam Knight at 604.916.9940. Choosing a Realtor to hire to sell your condo is an important decision and with nearly 10,000 Realtors in Greater Vancouver there are certainly plenty of choices. We have developed a marketing plan designed specifically for your condo on Fraser Street. Whether your condo is Freehold, Leasehold or a Co-Op we have the experience and the expertise to not only list and market your condo but, most importantly, get it sold. Check out our Marketing plan and see for yourself! We will never forget that you have a choice in the Realtor you choose to list your home. We will work every day to assure you that you made the right choice.